Scheme for one qualified person authorised and listed on the section 39 authorisation. Scheme for several qualified persons authorised and listed on the section 39 authorisation. We have compiled a list of questions and answers related to the new scheme according to which several qualified persons are authorised on the section 39 authorisation. 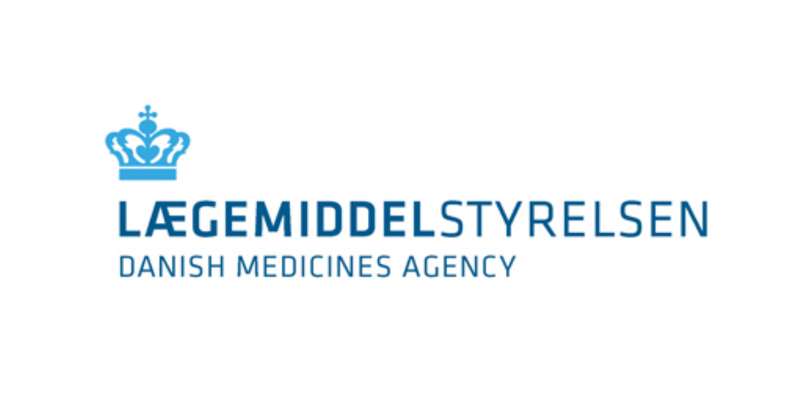 Who will the Danish Health and Medicines Authority contact if there are questions about a qualified person when several qualified persons are named on the section 39 authorisation? We will contact the company's QA department. In case of product defects, we will generally ask to speak to the qualified person who released the batch in question. Will qualified persons be named hierarchically on the section 39 authorisation, so that one qualified person has overall responsibility? No. We consider all qualified persons named on a section 39 authorisation as equals. How long does it take for the Danish Health and Medicines Authority to review applications for the authorisation and addition of a qualified person on a section 39 authorisation? The Danish Health and Medicines Authority is allowed a maximum of 30 days from the receipt of an application (variation application [front page of the application form + Annex 5], CV, diploma, description of training plan, if relevant), however, provided that the submitted application is valid, see Guidelines on application for company authorisations (section 39) – Manufacture and import of human and veterinary medicine and intermediates. How many qualified persons can be named on the section 39 authorisation? It is up to the company to decide how many qualified persons are to be named on the section 39 authorisation. However, we request companies to keep the number of qualified persons at an appropriate level in order not to burden the administrative processes for both the companies and the Danish Health and Medicines Authority in connection with frequent updates of section 39 authorisations. Should the qualified person of a contract manufacturer (contract acceptor) be added to the contract giver's section 39 authorisation if the contract giver relies on the contract manufacturer's (contract acceptor's) release of an intermediate product? No. Contract givers that rely on a contract acceptor's release of an intermediate product must ensure that the qualified person of the contract acceptor has been authorised according to the applicable procedures of the country concerned. Must all qualified persons named on the section 39 authorisation be able to release all types of medicinal products manufactured at the company? No. If an applicant cannot release all the types of medicinal products that the company manufactures, the variation application must specify the product types to be released by the qualified person applied for. Should the qualified person releasing products for clinical trials be named on the section 39 authorisation even if the product is never released for sale? Yes. It is not only batches released for sale that are subject to the rules of the scheme for several qualified persons on the section 39 authorisation. All batches released for use (i.e. for use as a medicinal product or for further processing by another company) must be released by a qualified person named on the section 39 authorisation. Does the scheme for several qualified persons on the section 39 authorisation involve changes to the legal obligations of the qualified persons added on the section 39 authorisation? In the scheme for several qualified persons on the section 39 authorisation, no qualified person has overall responsibility for all manufactured batches. In this scheme, the qualified person is only responsible for the batch(es) that he or she releases. Should the qualified person named pursuant to the scheme for one qualified person on the section 39 authorisation still appear on the company’s section 39 authorisation, even though that person does not sign the release register? It is up to the company to decide which employees are to be named on the section 39 authorisation. If a qualified person named on the section 39 authorisation does not regularly attend to the activities related to the release of medicinal products, that person must still keep his or her expertise in the area up-to-date. Is it permitted for an employee with the same qualifications as a qualified person, yet who is not named on the company's section 39 authorisation, to release batches when all qualified persons are absent? No. It is up to the manufacturer to ensure that a sufficient number of qualified persons is authorised so that the company can release batches, even if many qualified persons are absent. Must employees who approve intermediate products internally in the company (for further processing inside that company) also be named on the section 39 authorisation? No. If an intermediate product is approved for further processing within the same company, the "approver" of the intermediate product should not be named on the company's section 39 authorisation. Must qualified persons who release intermediate products also be authorised and named on the section 39 authorisation? Yes. If the released intermediate product is to be used outside the company, qualified persons releasing intermediate products must also be named on the company's section 39 authorisation. What is meant by the release of a medicinal product or intermediate product? In this connection, release means the final signature (batch certification) in the release register by which the qualified person certifies that a batch of medicinal products or intermediate products has been manufactured in compliance with Danish executive order no. 1242 of 12 December 2005. After this release, the medicinal product or intermediate product may be distributed. If a company chooses to have several persons named on the section 39 authorisation, only these persons are authorised to release medicinal products and intermediate products.